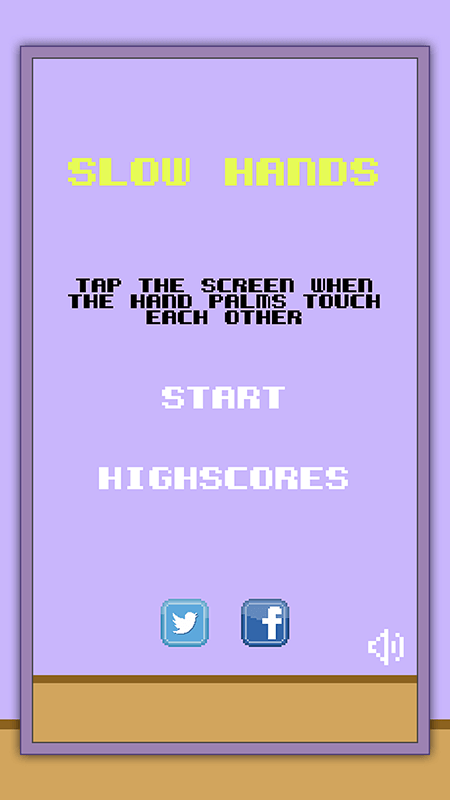 Tap the screen when the hand palms touch each other. 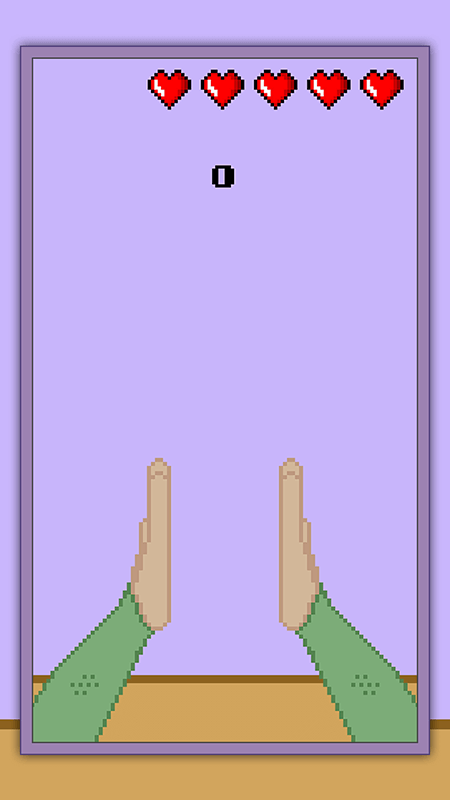 What high score can you get? You will have 5 lives. 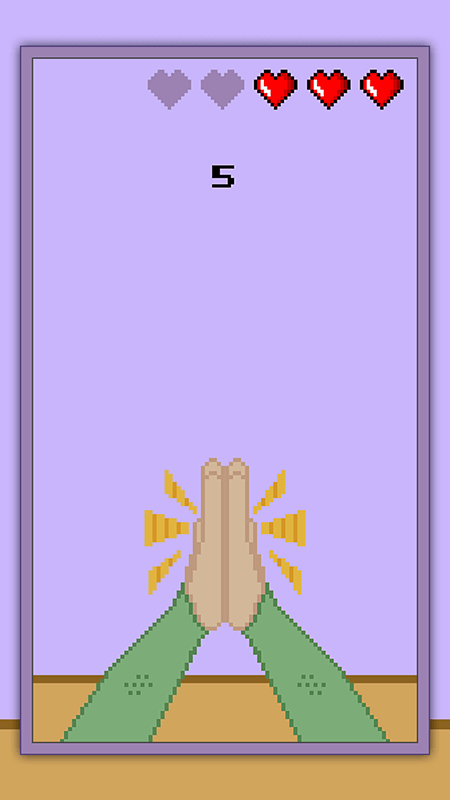 Every time you tap the screen when the hand palms are not touching it will cost you a life.